Choosing a home health care aide for you or a loved one is likely one of the most important decisions you may make in your lifetime. At first it may seem like a daunting task but there are some guidelines that you can use to make the process much easier and ensure high quality care for you or your loved one. Ensuring the agency is accredited and licensed. Each state has its own legal requirements for in-home caregivers and home health agencies. When choosing a home care agency you should check to make sure they are abiding by the laws of the state. It is important to know if the agency is licensed by the state in which you reside. State agencies that regulate licenses are a great place to start researching care providers. You may be able to find out if there have been complaints made against a particular agency. Obtaining references is another smart way to get a full view of the type of care you can expect. You may also want to inquire about how the home care agency selects and trains their employees. Does the agency provide the services you need? Home caregivers are typically employed when someone is no longer able to care for themselves due to various circumstances such as failing health, a recent injury or surgery. There are many important factors to consider in choosing the best agency to meet your needs, assessing what types of services you or your loved one will need is high on the “to do” list. Assisting Hands Home Care personnel can help with daily living activities including shopping and running errands, preparing meals, laundry, and other general light housekeeping duties. Certified home care workers also will be able to assist with bathing, dressing, and grooming as well as medication reminders. Asking how activities performed by the home health aide are documented is another indication of how an agency functions. Knowing that there are organizational systems in places can help ease your mind. Detailing the specific tasks to be carried out, and logging activities ensures that clients’ needs are met each and every time they are visited by their caregiver. Another question to ask is whether a supervisor is assigned to oversee care to ensure quality assistance is always a priority. Additionally, the availability of the caregiver is something to take into consideration. Depending on your needs you may want to know if the agency has a registered nurse on call and if they are available 24 hours a day. When you meet a prospective caregiver, chatting with them can be a great way to access their attitude and how comfortable you may be with them helping you or your loved one. Does the cost for services meet your budget? Although at first this may seem like the most important factor, sometimes choosing an agency based solely on cost may lead to inadequate care. Ask the agency for literature explaining their services and fees, as well as explanations of costs associated with home care. Also knowledge of how they manage expenses and billing can be helpful. You should check to see what type of coverage your long term care insurance offers. The agency may have resources for financial assistance, if needed. For instance, a payment plan may be available or the agency may work with other organizations such as Veterans Home Care Assistance Program. Assisting Hands Home Care is available around the clock to answer any questions you may have. Please call 973-970-2723 for more information. Choosing an agency solely based on cost would be the biggest mistake ever! You aren’t just buying a sack of potatoes, you are entrusting the life of one of your loved ones to someone! You better make sure that agency is up to the task and not just to save some money. 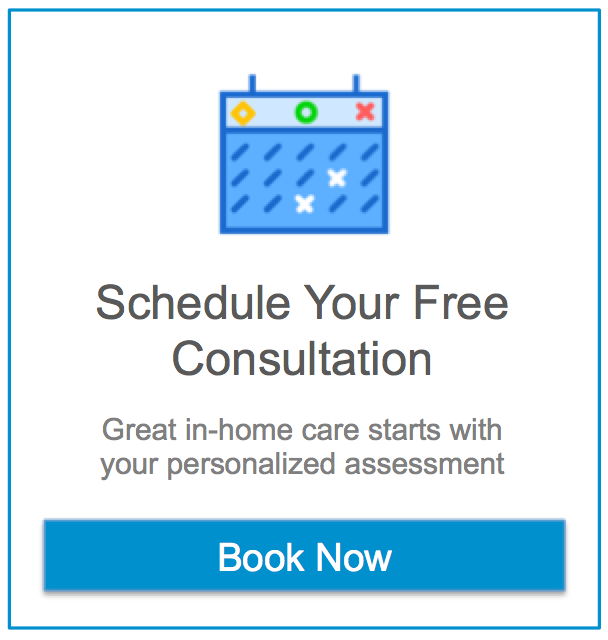 It took me a lot of time and research to find the perfect home care agency but it was worth my time. I had to eliminate some that were not even licensed or others that were just too expensive. I found something within the budget, that has nice people working there and which has systems in place which make them look more professional. I wonder how much attempt you put to create any such excellent informative website. site. I’m really impressed by it. You have done an incredible job. I will certainly suggest to my friends. I didn’t realize how important home care was (honestly, I didn’t even know it existed) until my mom broke her hip and needed care. We hired someone privately at first and it was a total nightmare. I switched to an agency instead because they took care of the vetting process for me. They let me interview a few caregivers and we finally found someone we liked. Thank you for the great information! My family has been thinking about hiring home care for my grandmother but we are quite unfamiliar in that area and aren’t quite sure what to look for. I will definitely have to keep these things in mind. Especially what you said about checking to see what hours the agency is available for help. I think if the family members that are helping to make this decision get together with a “list” of important things the senior will need from the home, that would be a good start. In our area, there are many different senior homes to choose from. We had to make a list, like you mentioned, and that helped us narrow down the options for us. I think that the first thing that you should look for is the accreditation of the company. After that, it is always good to meet with the provider beforehand. There are a lot of companies out there that provide in home care. You have to make sure that you do your research well in advance though. We went through 4 different agencies trying to find the best care for my mom. The one that we ended up sticking with let us interview the aides before they started so we could pick who we wanted to use. They also did weekly check-ins to see how everything was going. The first 3 sent us the aides but then we never heard from them again. I had questions about billing and other things and it took them too long to return my calls. I’m a reasonable man but if you’re responsible for people’s well-being then it shouldn’t take 2 weekdays to return a phone call. I didn’t know that home care agencies had to be regulated. My neighbor runs one out of her house and I’m almost positive she’s not registered with the state. A tip I would add is check out the office of the agency and make sure they are real and not just a crazy cat woman running it out of her living room. My grandma was using an agency from Medicaid and she had nothing but problems. The caregivers never showed up and when they actually did it was different people everyday. She didn’t like the parade of strangers in and out of her house. I’m sure the private pay only agencies are a lot better but not everyone can afford to spend over $20 an hour!!! My father was in Assisted Living and had his own caregivers as well. They were very kind and helped my dad be allowed to stay in his own larger apartment instead of a tiny room on a dementia floor. I wouldn’t go to the state for anything especially for help finding care for my aging parents. The state of Medicaid and health care in general in this country is a disgrace. I hired a private caregiver for my mother and she was wonderful or so we thought. A year later she it turned out she stole almost $4000 from my mother. She got caught but other people may not be so lucky. If I could go back I would have paid for an agency and saved myself the stress. It’s also important to know what type of vetting process the agency has when hiring caregivers. I just read in the paper that an agency got shut down for sending unlicensed aides into people’s homes. This is really interesting to learn about. This is my first foray into senior care. Personally, I prefer private caregivers to agencies. Agencies are too expensive. I’m an accountant so withholding taxes isn’t a complicated task for me and I’m honestly not worried about any liability issues. I met with multiple home health care agencies before I found the perfect one. I needed a male live-in caregiver for my father and I insisted on interviewing them before I would let them have free reign in my father’s home. Some agencies were reluctant to let me interview the caregivers before and that was a huge red flag for me. I’m trying to move my mom to New Jersey from our home country. My sister and I are going to be her primary care takers but its good to know help is available if we need it. I met with an elder care attorney so we could get my mom on Medicaid. We’re doing private pay with an agency now but the cost really adds up. It’s going to be a few years until she can qualify though. My siblings and I are very lucky that our parents have long-term care insurance. There is no way we would be able to afford the care they need out of pocket. It’s the best investment you can buy for yourself. Everyone makes a will so their family is protected if they die but most never stop to consider what happens when you are still alive but unable to care for yourself. I have a caregiver that always shows up on time and I love how she shows how much she cares about my uncle who has dementia. Its so hard making decisions by myself without the help of my grandchildren I would never thought that I would be in a better place. It is so much better than being in a clinic because I love being in my own bed and going outside to my backyard. The support that I get has helped me get through my good days and my worst days. My mother has stage 3 Alzheimer’s and she cannot talk in full sentences and it is becoming very hard to understand her. This support that I have has been helping me through this difficult time. I need a caregiver for my father who has stage four dementia and this is information is really helpful. I’ve been having trouble finding a consistent caregiver because my mother only needs help with bathing in the morning. I want a caregiver to come 3-4 times a week but only for 2 hours. I understand that it’s a short shift and it makes it hard to find someone but she just doesn’t need the 4 hours required by most agencies. Do you have hourly minimums? We do not have any hourly minimums. We will go out to our caregivers and do our best to find you coverage no matter how short the shift. Call us at 973-970-2723 and we can discuss how to best help your mother. Good information. I like your Home Care blog. Finding quality home care is so important and it becomes a pretty arduous task because of the sheer number of agencies and private caregivers out there. When I was looking for an aide for my father last year I met with at least 5 agencies until I found one who was a good fit. Excellent website. Plenty of helpful information here. I’m sending it to several friends. And obviously, thank you for your effort! I’ve been browsing on-line greater than 3 hours these days looking for information for my parents. So many options to pick at but it is hard to know which is best choice. Good info just wish it wasn’t all so expensive. My parents don’t need help but this is good information to keep in mind for the future when/if the need help. These are helpful tips. I got a private caretaker for my dad. We ran a background check and everything. The aide was very nice but he always needed time off. We ended up switching to an agency so if the regular caregiver needed to go home for a weekend they could send a replacement. There are SO many home health care agencies to choose from in NJ. It makes it tough to settle down on just one. Thanks for the reminder to check your state’s laws for home care agencies. I haven’t done that yet, so I will do that before I do anything further in my search. I also like your tip to use a state regulatory agency as a starting place for a search. I’ll also check that out! This will probably make my search on my grandmother’s behalf at least a little bit easier (if not much easier)! My grandpa is getting old and we’re trying to find him an in-home care service. I had no idea that each state has their own legal requirements in regards to caregivers. I’ll have to make sure that the in-home caregiver that we pick is accredited and licenced. Hi there! Someone during my Facebook group shared this website with us so I came to take a peek. followers! Outstanding blog and fantastic design and magnificence. This can be a topic which is close to my heart… Thank you! Experiencing this article reminds me of my previous roommate! him. Fairly certain he will possess a good read. Everything is very open by using a specific clarification of the challenges. I’m hoping I could find a caregiver that’s available 24 hours a day just in case. You mentioned that some caregivers offer that option. My dad would be thrilled to know he’ll be taken care of. here, certainly like what you happen to be stating and the most effective way in which you say it. for to stay it smart. I cant wait to read considerably more from you. site or possibly a weblog from commence to end. Hi there do you mind letting me know which webhost you’re utilizing? I appreciate your tip on asking how activities performed by a home health care agency are documented. I would imagine that knowing how they organize themselves would be helpful in easing your mind. I need someone to take care of my mom now that she is getting older so I’ll have to find out how they document their activities first. completely, however this post provides pleasant understanding even. I think it’s interesting how you said that your budget shouldn’t be the only thing determining whether or not you hire one service over another. I guess it does make sense because you might not get the care you need for a loved one if the cost is super cheap. I think it’s best to find a balance of both — staying in your balance and getting adequate care for a loved one. I also think it’s a great idea to read some of the information they provide to find out exactly what you would be getting. You might be so cool! I do not think I’ve read anything this way before. thoughts on this material. Really.. many thanks for starting this up. I’m glad you mentioned asking if a supervisor is assigned to oversee care! I wouldn’t have thought to ask this, and we’re going to be looking for a home care agency for my mother soon. Making sure the care she’s given is high quality is definitely the top priority. I imagine that having a supervisor would help to make sure all personnel are held accountable, which would ensure they are doing their best every time. My grandma needs to get some in-home care. I hadn’t thought about cost and how you should get a company whose billing accepts your insurance to help cut down costs. Something else to consider is to get a home care provider that gets along with your loved ones so that there is no tension. every one be able to without difficulty understand it, Thanks a whole lot.